Among many enthusiasts, two vehicles are iconic. The first is the limousine, a symbol of luxury, wealth, and taste. The other is the Hummer, a testosterone-fueled machine that is rugged and robust at the same time. For a unique, impressive entrance, combine both. 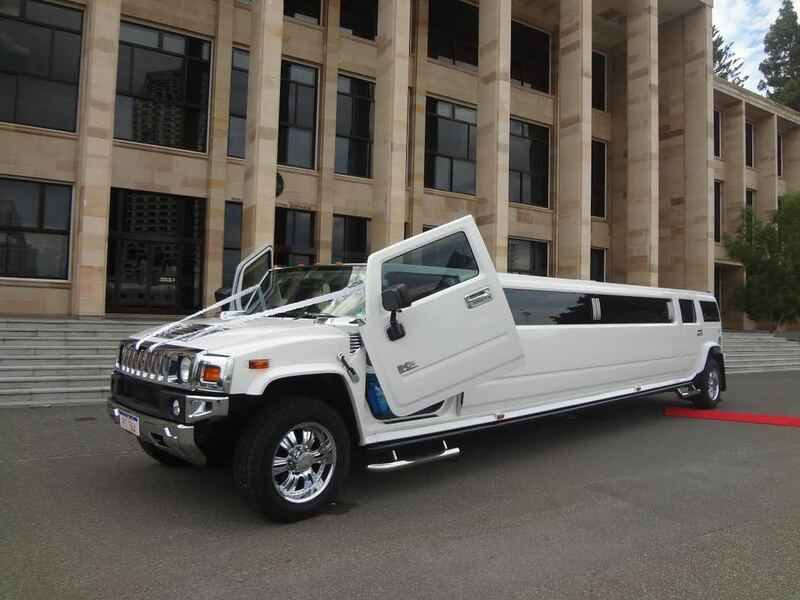 We offer rentals of hummer limousines as wedding cars Mandurah. These sleek, beautiful machines combine the power of the hummer with the luxury of a limo. Our Hummer fleet comes with standard features and amenities. These are there to make sure you have a great time, both on the way to your event and on the way back. Each vehicle comes with a dance floor big enough for sixteen people. A karaoke machine and one of the best mobile sound systems ever built is a complement to this. You can also watch movies or videos on LCD screens or hook up your iPod for a personalized music selection. Laser and Strobe lights are included. Color-changing bars are also built in, to maximize the feel of being in a club on wheels. A hummer limo hire Mandurah can be an excellent choice for chauffeur service. All too often, getting a driver is practical but a bit dull. Dispel that problem with the entertainment features built into our fleet! With a fully-stocked bar and ice available, you and your guests can remain entertained as you are driven around in style. The interiors have been done to promote luxury and relaxation. It may not look like it from the outside, but the inside is spacious enough for a party of up to sixteen to sit with legroom to spare. Combined with the other features, you will find our black hummer limo to be an excellent way to unwind. Of course, few vehicles can match the impressive look of a hummer. It is very different, even from other stretch limousines, and can make an impact. The chrome detailing work, tinted windows, and large wheels just add a sharp punch to the overall look.